The Gestetner 3220 is a multifunction printer that handles monochrome printing, copying, and faxing with relative ease. Marketed as a machine that provides reliable performance with extensive add ons for customization and usability, the Gestetner 3220 can be an alternative multifunction printer choice for small to medium-sized offices and business who want reliability at a relatively low cost. The Gestetner 3220 features steady and reliable printing speed at 20 pages per minute. It also includes options for auto magnification, series copy and combine modes for printing and copying functions, options not exactly available among other multifunction printers. 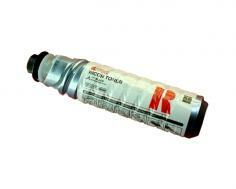 Resolution stands at 400 dots per inch, with halftone levels at 256 for monochrome copies and prints. Other options such as negative/positive, center/border erase, electronic sorting and auto tray selection are also included. Another great option is users are able to customize up to 50 user codes and job programs, which allows for extended functionality for this machine. Its resolution can also be upgraded to 600 dpi, although this option slows down the machine's productivity in printing and copying. The Gestetner 3220 also has a zoom feature, capable of reduction up to 25% and enlargement up to 400%. 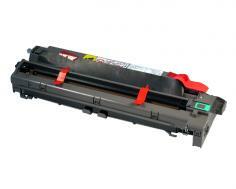 The Gestetner 3220 is quite enormous in size for a multifunction printer. 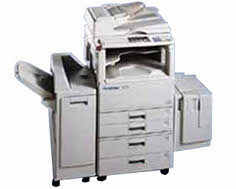 Compared to other multifunction printers produced by other brands, the Gestetner 3220 is more than double their sizes. This enormity is owed to its multiple tray capacity, yes, but if the Gestetner 3220 is marketed as a small office/business multifunction printer, most likely the need for a very high volume printing and copying is rare. Also, its size does not really promote space saving especially for small offices and workplaces. The speed of the Gestetner 3220 is also another letdown; though decent at 20 pages per minute, such speed is relatively slower than most multifunction printers, not to mention this speed also takes a hit once the resolution is changed from 400 dpi to 600 dpi, a weakness not shared by other multifunction printers. Its resolution is also one thing that may disappoint users with the Gestetner 3220, as most printers offer up to 1200 x 1200 dpi for printing and copying, while the Gestetner 3220's maximum resolution is only at 600 dpi. Review it: "Gestetner 3220 "
The Gestetner 3220 comes with a toner cartridge that has an 8,000 page yield on 5% coverage, plus a drum unit that has a 45,000 page yield. The Gestetner 3220 is truly a high-volume printer, as its standard toner cartridge more than doubles the standard toner cartridge available for other multifunction printers. Its drum unit is also for durable printing and copying, almost double most printers' drum unit yield. All these allow the Gestetner 3220 to minimize print costs for its users, which is a definite plus especially for offices and businesses that look to maximize cost-saving.